This topic has 22 replies, 11 voices, and was last updated March 29, 2019 at 2:29 pm by Gernot66. With the 2014 01 16 build of Pioneer, the stats and performances of the spaceships got a long needed overhaul (they were quite inconsistent for a while). We’d like to ask our players to give use feedback about how these ships handle and perform in different situations, and how hard is the game generally, ow much time is needed for traveling, etc. This will help us tailor the game to be more entertaining and challenging. So I’d like to ask you guys and gals to fill out this short survey. You can fill out any times you want, like when you’ve bought a new ship or encountered a tough opponent or a rough landing for example. The more data we get, better our perspective will be. You will notice that most of the ships got nerfed a bit, so no more 30G accelerations and 60 000 km/s deltaV-s with a few tonnes of propellant. Ranges (deltaV) can vary a lot depending on the amount of cargo in the hold. Is not better ask only 1 question every week ? I’m aiming for an overview for now, but we can be more specific later. And this way we can compare things continuously, so we see the effects easier especially if we change something later. I downloaded the 18/1/2014 version and am testing it out. I was surprised that CTRL-M no longer works as we really needed this so we can test out other ships plus to load up our ship to save some grinding time 🙂 if that could be reinstated that would be great. I cheked the doc files just in case there is another key but could not see anything there nor in any menu for adding money for testing. I noticed the star dreamer now take a long long long long time the AU distances take a fair slog now to get there via autopilot. I thought this could be because of the standard ship we start with now, this is why I wanted to try a different ship but the CTRL-M no longer works to get $ to buy a new ship……. Have not done the survey yet, I wanted to play a little more. Yes, it’s slower because deltaV-s got reduced generally. Especially for ships like the Xylophis, which is intended to be a short range craft (the long hyperspace range is a happy accident due to it’s low mass). I’m testing too, and I was able to make quite a few deliveries with the starting ship (I removed the blaster though). I usually load up with some water too, that can cut your travel times, if you refuel midflight, and continue thrusting for a while then switch back to autopilot. Just keep an eye on your deltaV when you are doing that: your speed shouldn’t exceed your deltaV reserve, and you should keep several hundred km/s in the tanks for orbital insertion and landing. Where the name is the filename of the .lua file you find in the data/ships folder. Thank YOU and the AMAZING Pioneer development team for giving us the opportunity. As Robn might tell you I have been playing this for a good while now. Thank you very much for the console command. Yes I understand the default ship is more a short range craft but yes it is great that the hyperspace range is considerable due to it’s mass :biggrin: When I looked at the hyperspace range and the missions I thought ‘ahh I’ll never get that far’ but yes…..I think that was fantastic. Another thing I noticed is the first few times I crashed whilst taking off. I see that has changes as well. I used to get clearance, turn off manual, pitch up and thrust, now of course I need to be careful as I can easily get out of control there as it takes time to pitch as it SHOULD of course as I am in a gravity environment. Still, PERFECT I thought. Harder sure but an improvement :good: I thought I’d try just my “up” thrusters but that caused me to go out of control as well…ooops………oh well. I must keep at it Commanders! Well I’ll keep testing, I hope you get lots more feedback here. I’ll push it as much as I can for people to get involved. I’ll be doing the survey as well and putting comments together in a document. I see the survey can be done multiple times all based on the timestamp of the ingame clock. Very good…have you thought about not just doing a remake of frontier or ffe? I just think its a bit of a waste you’ve built this cool engine, with decent graphics, but IMO you are copying stuff off the originals that was not very good to start with. Two areas of brabenÂ´s work which for me were always pretty crap. His cockpit and control panel design, with those horrendous buttons on the dashboard which made no sense. Actually seeing ED, he has not improved in this department, i guess its a taste thing. So you’ve more or less changed the buttons to be slightly more intuitive, but its the whole system of the buttons that is wrong..totally wrong. Actually we’re not a clone of FFE / Frontier. We’ve got an experimental 3D cockpit in the works that you can turn on in the options, the sector view and other old screens are going to be reworked – once they’re gone the old GUI will be entirely removed, the HUD with the control panel and buttons along the bottom will be removed too and there’s a couple of threads discussing a new HUD design over on the developer forums. I#ll be glad when it’s gone and that last link is broken so people stop thinking we’re just a clone. Ok brilliant to hear it! So are you going to write a backstory to the universe with news or are you planning on keeping it storyless and just freeform explore, make your own adventure type of thing? You know what would be really cool, is a zoom upgrade for combat hud. I find in combat the ships seems really small except when they are totally close up. It would be realistic to have ab upgrade that gives you a zoom feature in the hud on targeting hostile. anyways lookiing forward to future dev! Controlling the ship is a pain in the rear in without crashing. In space games I like being able to check out planets and moons and it is impossible to do it right if I can not look straight down as I take off, land, or look straight at the planet as I orbit around it. when I am looking from the point of view of the ship like first person I really like when the camera is separate controls than the ship so I do not start moving around against my will. I also would like to be able to go forward in the direction that I am looking in for first person. more often than not when I press up to go forward in first person view I go backwards or just keep going in a tangent to the planet or moon that I am trying to land on. I also notice that whenever I do manage to land successfully I always am inside the planet or moon and see though it and I often can not stop moving! I would like to be able to more easily land on planets and moons without crashing into them or go flying off into space with no way to change my course. I also would like to be able to control the camera in first person view even when I am in autopilot without being unable to move the view or change direction. I use right click and drag to move camera. I also need to add in that I noticed a huge mistake for earth and mars! Earth is labeled as an ice planet and the solar system view shows mars with Earth’s geography and is bigger than Earth. I also would prefer if moons were called moons. I think it would be much easier and enjoyable to be able to control the ship in first person mode and as I move the view I change the direction that I face only and do not roll around or change angle at all. hope the ship controls are improved so I can land easily and the labeling is fixed. hope my feedback helps! I am playing Aug, 3 2014 update. I suggest you to read the wiki. Expecially “keyboard and mouse controls” (because, yes, you can look straight down while landing… and you can also define you own keymap) and the Tutorials (even if they are outdated). Flying in pioneer is harder than in many other space games, because the engine is based on newtonian physics. problems: interface. near crosshair its shows distance and how fast you are approaching to target. and that numbers can switching places. its confuses in battle. 2 missions – I liked Search and Rescue missions been added, its my favorite for now. 3 navigating â€“ Has some issues . problems: in planetarium hard to navigate, its took to long to zoom, doesnâ€™t show entirely orbits that confuses. problems: fuel scooping is tricky, its heard to understand when it will start. It need some sort interface for that. And I missing scooping from stars. 5 planet landing â€“ its pointless. waiting for mining rear and expensive materials (not ice and metals like in frontier) or searching for precursors materials on planet. Storm25, i have no idea if you will read this it’s quite long ago when you posted it. That Earth is an ice or sometimes a water planet (it varies with the release because the generation will vary slightly) is caused somewhat by the procedural generation. Even if “Earth” is a “hard coded” system the generation still decides what type of economy or ecology it has, it can be bypassed partwisely but not completely. The symbols we use are ment for all possible combinations, Earth is to be honest only one of billions. The symbols stay for many planets with a similar atmosphere or geology but not for size or exact look. You have a dozend symbols but 100’000 of variations to cover that with. To respect the many variations or just a few would boost the amount of symbols uselessly. On the other hand such a “dot” could also be generated and would probably better cover what it is. But dammit, a symbol is enough and it doresn’t have to match the exact look it just a symbol, it could be a plain white dot, it would mean the same and technically it would be also the same, click on it to target the object, hover over it to receive the data. Yes it could be made better, but i guess i would prefere to make the orbital view better the white dots here are very cheap instead to display the planet like in FE2. However you are free to change them while a smaller “Mars” icon would mean all of this type “rocky planetoid” with a “thin carbon dioxide atmosphere” and in a similar temperature range will show this symbol. Sol is our home, but it’s not a common system in Pioneer, it’s not what we measure all with. Thus easy the symbol for “Waterworld” or “Iceworld” can be smaller or larger, it doesn’t reflects the size it reflects poorly its physics and chemistry which alltogether form the visual appearance of a planet. Hard to tell if they would look like this at all. On Earth we measure things by Sol, depictions of extrasolar planets are always artwork based on what we know. 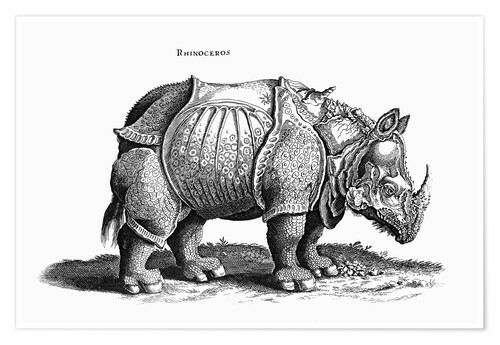 And well just guess how Dürer depictet a rhino only by description, he never saw one, it’s not bad for that but he didn’t matched it exactly. So i assume we will be at least this far from the real look whatever we imagine. Neither i like the symbols now for the Planets on the HUD, it looks kitsch to me. Not every medium gas giant has such large rings like Saturn, we can assume it’s not the common situation. ….to me, but i’m only Gernötli. I think that was a good idea, yes such was needed. usually i depend only on my own experiences. What would be the difference of a “time compression” to “super mechanics”? Can we travel faster as light without something like a hyperjump (pure fantasy) or a warp drive (technically impossible)? So there is only time acceleration left which makes it halfways realistic, you need this time to get there and you need this amount of fuel – Pioneer is not Starwars or StarTrek where everything works magically and disrespects the basic physics. The interplanetary flights and the manual control are to me a vital part of the gameplay, i’m no pushbutton pusher and i hate games where you only have to press the proper button, it’s already to much for me that i can hire a co-pilot to fight for me, that’s “final-fantasy select the right button to win and watch a cutscene for the 1000th time” crap to me. one successful fight since the AI uses a different method to fight back (in general my method with which i outsmarted them, shut off engines and fly manually, fire thrusters only to maneuver and to accelerate or decelerate. up to alpha 9 i guess the AI was steady firing the main thruster and had to fly due to that a very large parabellum. however this single victory counts a lot more as 1000 shot down ships in FFE. – the enemy will have a beam weapon to and that would mean you are burned down to ashes even faster as now before you even recognized the enemy. – it doesn’t works with the engine i guess, weapons in pioneer have a mass, each plasma shot consists of a range of blobs, each blob has a certain mass and a certain impact. due to that it’s possible to graze. So from this side i see already a problem with introducing beam weapons. further the field of view or perspective we use isn’t isometric it’s a distorted perpective, bowed lines it has annoyed me always i don’t like it to much even if it should be more realistic – should but it isn’t because in reality the perspective is not distorted or bowed, the lines are absolute, it’s an isometric perspective. the problem is how to project that on 2D. Isometric isn’t quite right and what we use for Pioneer is certainly used for every game which ids placed on Earth. But imho in space we would need the isometric view, it let’s you better judge and it won’t look so stupid when the shots make a visual “curve” like now, further this would allow to think about beam weapons because imagine that with the distorted perspective, it would look stupid as hell, it looks already stupid to me that the plasma shots make a curve. imho this otherwise proper way to project a perspective is wrong for a game like Pioneer. FE2/FFE uses a isometric perspective and the beam is straight like a laserbeam, but in Pioneer it would turn to a curve. I really never liked this distorted perspective but it is that way. The only good reason would be that it makes multiplayer games impossible, that’s why elite uses interplanetry jumps and you meet only in real time. But it never was what i would have liked and well i remember the debates on frontier forums well it’s not what we FE2 veterans liked to have. We prefere to play solo, that is less agressive and you don’t have to mess with idiots.